It’s time to face the facts: here in New England, winter has arrived. We’ve already seen heavy snows and record cold, and there’s more where that came from. And as any Massachusetts homeowner can tell you, the cold winter weather will undoubtedly lead to higher energy bills. If you’re looking to avoid that yearly spike in utility costs—and you’re handy—you might be wondering if a DIY home energy audit could help you save some money in the coming months. There are two main options when it comes to assessing your home’s energy efficiency. The first is to have it done professionally. There are plenty of Mass Save partners like Energy Monster that are qualified to come to your home and perform an assessment for you, inspecting your house top to bottom to search for areas where some improvement is necessary. However, if you’re a do-it-yourself expert, you may lean more toward the other option: inspecting your home yourself. So which option is better for you? Here are a few factors you should consider before you begin a DIY home energy audit project. The DIY way: Assuming you’re not a professional energy auditor, there are a few things you’re going to have to learn if you want to perform a satisfactory energy audit. Do you know how to find drafts around your windows or doors? What about evaluating your insulation or the safety of your heating system? Yes, these are things you can learn. There are plenty of guides available that will teach you how to perform a thorough audit, but building this knowledge takes time! Hiring a professional: One of the biggest benefits of working with an energy professional is that they already have this knowledge. You’ll never have to wonder if they’re doing it right; they have the experience necessary to perform a thorough assessment. They also have the tools required to perform the job properly. On top of that, they’ll walk you through their findings when they’re done. The DIY way: A comprehensive audit takes time. First, you’ll have to do the research: read the articles, watch the videos, etc. etc. to learn how it’s done. Then it’s time to actually perform the audit, which is no small feat. A proper assessment covers every part of your home, which can take hours of your time. As the days get shorter, do you really want to waste your precious daylight? Hiring a professional: How much time does a professional home energy assessment take? Typically, around two hours, depending on the size of your home. At a maximum, your energy technician will spend three hours investigating your home’s energy needs—that’s it. Your assessment will be done and you can spend your time on more important things. The DIY way: So you’ve completed your audit. Now what? You may understand where your home is wasting energy, but do you know how to fix it? How will you go about doing that? While you may be able to do some simple tasks yourself, such as sealing air leaks around your windows and doors, your home may have needs that you can’t address on your own. Then it’s time to start looking for a contractor to get the work done! Hiring a professional: Did you know that when a Mass Save contractor performs an energy audit, they immediately help you to begin saving energy? The assessment comes with no-cost energy-saving goodies such as LED light bulbs, smart power strips, and water-saving measures. With these devices, you’ll start saving energy right away, even if you don’t decide to have work done on the house right away. And when you work with Energy Monster, you’re working with a contractor who can address all of your energy needs. After your assessment, you’ll receive a customized energy report which will tell you exactly what kind of work should be done after to improve your energy efficiency. The best part? 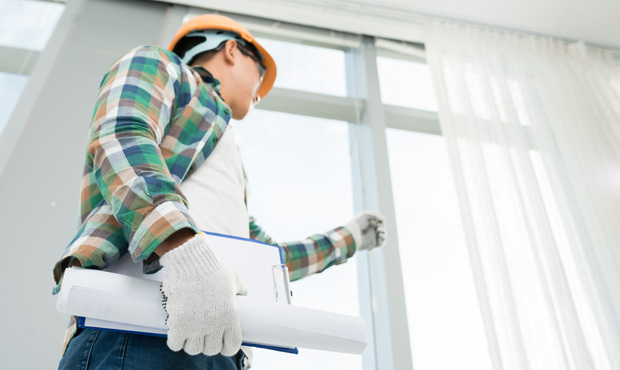 If you decide to undergo any of these projects, Energy Monster is fully qualified to do the work, so you won’t have to search for another professional contractor! There are many benefits to hiring a professional for your energy audit, but the do-it-yourselfer inside you may still be leaning toward the DIY route. After all, taking on your own projects is usually a good way to save yourself some money. But did we mention that a professional energy assessment is no-cost? You get personalized service, energy-saving devices, and customized recommendations for your home, all without spending a dime on the audit—saving you time and money. As the days get colder, there’s no better time to assess your home’s energy needs, and there’s no better way to do that than to work with a Mass Save partner like Energy Monster. 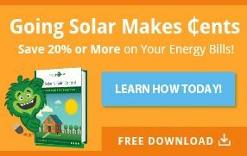 Save yourself some time, energy, and money! Schedule your no-cost home energy assessment with Energy Monster today.